The Bossa Nova is a Brazilian style of music that is closely related to Jazz and is known for its off key interpretations where the melody is often sung at a higher range than the instrument. Bossa Nova is known for it’s swaying motion rather than the swinging motion of Jazz or Samba. Brazil is a Portuguese speaking country in the tropics of South America and was settled by Portuguese and slaves from Africa and both groups brought with them very distinctive cultural norms that together make Brazilian music unique on the world stage. The Samba is the style most often associated with Brazil, and from which the Bossa Nova evolved, although it has been described as less percussive and more harmoniously complex. The name Bossa Nova is generally considered to mean ‘New Trend’ and in brazil the word bossa was synonymous with anything that was cool and hip. During the 1950s Brazil was developing economically and becoming a progressive nation, music had developed a commercial following so new bands and singers were being sought out, especially those with a different sound. 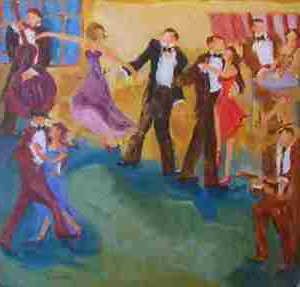 Amongst the middle and upper classes in Brazil styles such as the Bossa Nova were incredibly popular in clubs. João Gilberto is credited with being the inventor of the Bossa Nova style, but the first Bossa Nova released song wasn’t performed by Gilberto, instead he only played the guitar in accompaniment to Elizete Cardoso, a famous Brazilian actress. The song “Chega de Saudade” was written by Vinícious de Moraes and Tom Jobim, but truly became a sensational hit when Gilberto recorded it a year later as the lead single of his debut album. While the Bossa Nova craze only lasted six years (1958-1963) in Brazil, by the end of this time it had made it’s way to the US and was picked up by such big name artists as Frank Sinatra, Herbie Mann, Charlie Byrd, and Stan Getz. In the history of music the Boss Nova had now arrived and a willing global audience was ready to buy into it. It was at this time that Bossa Nova’s biggest hit and signature tune “The Girl from Ipanema” was released, with Gilberto on guitar and Portuguese vocals, Getz on saxophone, and the English verse sung by Gilberto’s wife Astrud. Not long after this Bossa Nova started to be replaced by other forms of music in the hit parade, but the legacy left by Bossa Nova’s greatest acts regularly inspires new fusions of Bossa Nova with other styles of music.